Fall is finally here. Now is the best time to try out a hearty soup! 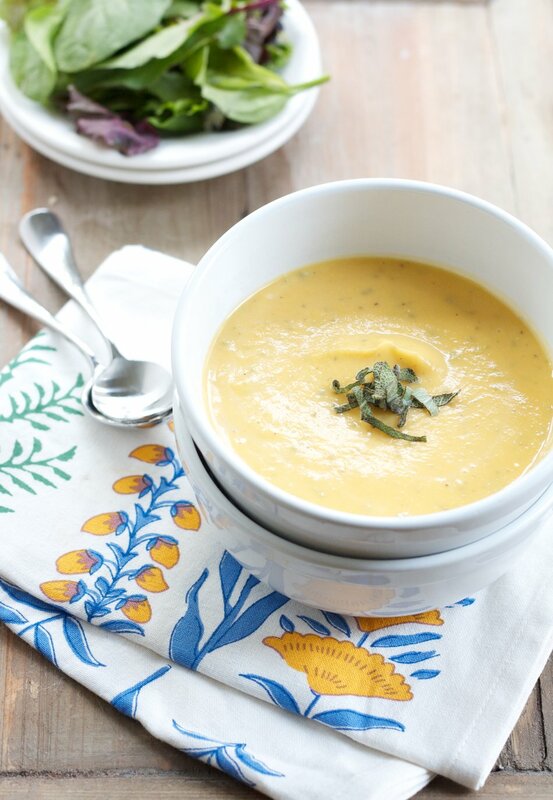 If you’re looking to try a new soup, then consider making our butternut squash sage soup. The recipe is perfect for a nice, chilly day. Additionally, it calls for an entire medium-sized butternut squash, so it has nutritional value. If you’re looking for a way to increase your daily intake of vegetables, then you can’t go wrong with our recipe for butternut squash soup. If you think your friends and family might like trying this recipe, then share it with them on Facebook, Pinterest, and Twitter. One of the best things about this butternut squash sage soup recipe is that it only calls for a few basic ingredients. In order to get started, you’ll need one medium butternut squash, sage, chicken broth, Kosher salt, a ¼ cup of milk, a ¼ cup of Cabot Two Percent Plain Greek-Style Yogurt, and one tablespoon of orange juice. Though it might sound like a weird ingredient, the orange juice actually provides a nice acidic bite, which helps to round out the otherwise sweet butternut squash. If you’d like to increase the amount of vegetables in this soup, you can also add in a few other veggies like carrots or onions, or you can substitute the chicken broth for a vegetable broth. It’s entirely up to you! On the hunt for another delicious soup recipe? Then try our recipe for butternut squash and corn bisque. We’re positive that you’ll love it. Cabot is a cooperative of over 800 farm families. Collectively, we’ve been making award-winning cheeses and dairy products for generations. We understand just how important it is to only serve the best to your friends and family at meal times, which is why we work hard to ensure that all of our cheeses are made with natural, wholesome, and top-notch ingredients. We want to make sure that our recipe for butternut squash sage soup is up to our high-standards. After trying the recipe, please rate and review the dish. If we can improve it in any way, we’ll sure try! To see how to make this recipe, visit Healthy Aperture. Recipe courtesy of The Professional Palate. I LOVE this recipe! Delicious!